Western Australia’s Horizon power has announced regionally differentiated pricing for its Renewable Energy Buyback Scheme. The new rates have been set by Horizon to reflect the ‘real value’ of solar power to the electricity grid in each of those areas, and will replace Horizon’s current ‘1-for-1’ Solar Buyback offered to most areas of the grid, in which electricity customers are paid a rate equivalent to their retail electricity rates for each unit of solar power exported to the grid. In addition to their environmental benefits, small-scale solar power systems provide varying degrees of benefit to the power grid, depending on where they are located and the penetration of grid-connect systems in that area. Horizon, in implementing the town-specific, differentiated, flat-rate tariffs, has done what no other electricity retailer has done to date: Attempt to incentivise the uptake of ‘distributed generation’ (i.e. 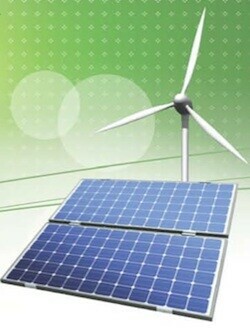 small-scale wind, solar, and other renewables) on a localised basis to harness the potential benefits. This approach was reportedly considered by the NSW government in setting the terms and conditions for the state’s Solar Bonus Feed-in Tariff scheme review, but was thrown in the ‘too hard’ basket due to the larger scale and more complicated nature of the electricity grid there. The new Solar Buyback rates will come into effect from 1 July 2012, and will range from as low as 10c/kWh for customers in Broome, Derby, and Port Hedland, for example, to 50c/kWh for customers in Menzies, Adryaloon, Beagle Bay, and Nullagine, for example. Residents of Kununurra, Wyndham, and Lake Argyle will be eligible to receive 16.09c/kWh. (You can view Horizon’s Renewable Energy Buyback price list here (pdf)).